Pet sitting can be a fun and rewarding endeavor that allows you to earn money while spending time with all types of animals. If you are interested in becoming a pet sitter, know that the job involves more than just snuggling cats and dogs. In addition to acquiring the proper training and certifications, prospective pet sitters must understand how to care for unfamiliar animals in a safe and attentive way. Learn the necessary steps on how to become a pet sitter and where you can go to offer pet sitting services. Before you can become a pet sitter, you must have a clear understanding of what the job entails. 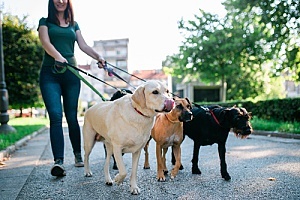 Similar to babysitting, pet sitting involves caring for pets whose owners are away at work, on vacation, or away from home for any other reason. While under your supervision, you may be responsible for providing the pet with fresh food and water, clean litter boxes, and medications. You may also need to bathe and groom the pet and take the animal for regular walks. Customers are more likely to trust you with their pet if you have the proper qualifications that prove you are knowledgeable about pet care. Before posting your pet sitting services, take the time to get certified which can significantly help your credibility and reputation in the pet sitting industry. Ideally, professional pet sitters should be certified in PetTech PetSaver First Aid, as well as CPR. To remain current with all pet care practices, pet sitters should get recertified every two years. Not everyone has the personality, patience, or attentiveness to care for someone else’s pet. Before accepting a pet sitting job, consider what your best qualities are and how they could make a difference when caring for animals. As a pet sitter, you must enjoy spending time with and caring for animals, including animals that may not be friendly. A good pet sitter is someone who is gentle towards animals and has the patience to get to know different pets on a deeper level. Good pet sitters must also be attentive towards pets to ensure that they are healthy and happy. While pet sitting can be a dream job for the right candidate, it is important to have realistic expectations. Like all jobs, there are some downsides to pet sitting that you should be aware of. First, know that another person’s pet may not behave in the same way as your pet. 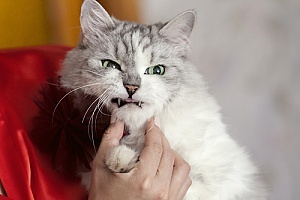 Unfamiliar pets may act scared, nervous, or skittish in the presence of a stranger. In addition, you may form a special relationship with a pet if you spend a lot of time caring for him or her. When your pet sitting services are no longer needed, it may even be difficult to say goodbye to your new friend! By providing pet owners with the contact information of owners that you have pet sat for in the past, you can show that you have past experience caring for animals. 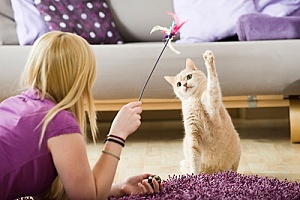 When you know what the pet owner expects from you, you are able to meet the pet’s specific needs and satisfy the owner. Do not be afraid to ask questions and learn about the animal’s history, likes, and dislikes. Having contact information available in the event of an emergency is crucial. In addition to the pet owner’s phone number, ask for other important information, such as the name and number of the veterinarian. Whether you are pet sitting for a close friend or a stranger, make sure that you are both on the same page in terms of pay. Rates can vary depending on where you live and owner expectations. If possible, meet the pet that you will be caring for before the big day. A practice visit is a great time to get to know the pet in a non-threatening environment with the owner in sight. If the pet follows the same basic schedule each day, do your best to continue the pet’s routine. This will likely make the animal feel less stressed. Pet sitting can be a great way to earn some extra income while spending time with people’s beloved pets. However, pet sitting is a major responsibility that takes considerable time, patience, and commitment to do a great job. To learn more about how to become a pet sitter, receive help developing your pet sitting skills, or to apply for a pet sitting position, contact Local Paw Pals today.